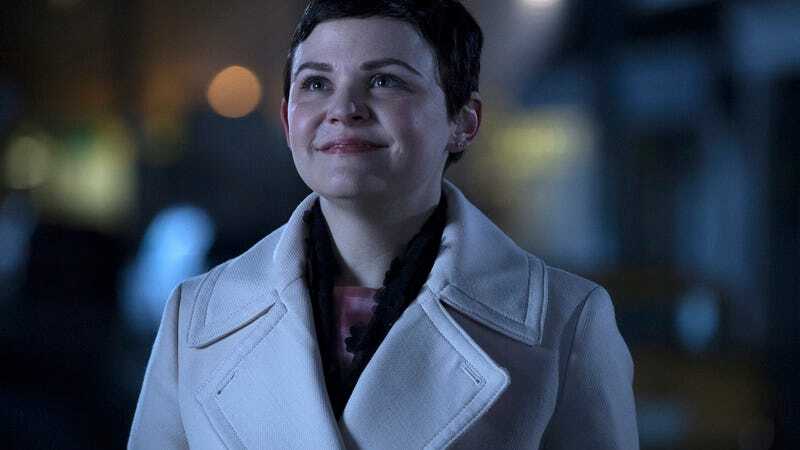 At the end of a week when Once Upon A Time lost its lead actor but gained an unexpected seventh season, ABC has announced that Ginnifer Goodwin, Josh Dallas, Jared Gilmore, Emilie De Ravin, and Rebecca Mader will join Jennifer Morrison’s exodus from Storybrooke. A statement from creators Adam Horowitz and Eddy Kitsis bids each of the performers and their characters adieu, saying they each “[e]ach brought unique talent, incredible intelligence, and their own individual bit of magic” to the series about fairytale characters (and various Disney-owned properties) mingling in a small Maine town. As was the case with Morrison, the creators are leaving the door open for Goodwin, Dallas, Gilmore, De Ravin, and Mader to reprise their roles sometime in the future. In an Instagram post—the preferred medium for acknowledging the end of your tenure on a fantasy television program in this modern, magic-less era—Mader expressed gratitude to fans, felicitations to the remaining Once Upon A Time crew, and clarified the circumstances of her departure. “This wasn’t my choice but a creative decision of the shows [sic] that I totally respect and understand.” That creative decision is apparently a Once Upon A Time reboot that will kick off in season seven, in which Lana Parrilla, Robert Carlyle, and Colin O’Donoghue will be joined by Andrew J. West and Alison Fernandez. West and Fernandez make their bow in this Sunday’s two-hour season finale; as a veteran of The Walking Dead, West should have all the experience required of a rebooted Storybrooke: He’s accustomed to entering environments that have been nearly abandoned by all other humans, and he knows to watch out for when those who’ve departed unexpectedly return.